A Chinese genomics company is working on technology that could let parents engineer super-smart babies. If all goes according to plan, researchers will be able to identify embryos that are destined for high IQs. This means in-vitro fertilization clients could have their pick of the embryo litter, so to speak. Which is either really cool or really creepy, depending on your fondness for science fiction and your tolerance for dystopian societies. Though 50 to 80 percent of intelligence is thought to be inherited, scientists aren't yet sure which genes contribute. To get to the bottom of this, Shenzhen-based company BGI is mapping the genes of math geniuses and comparing them against the general population. 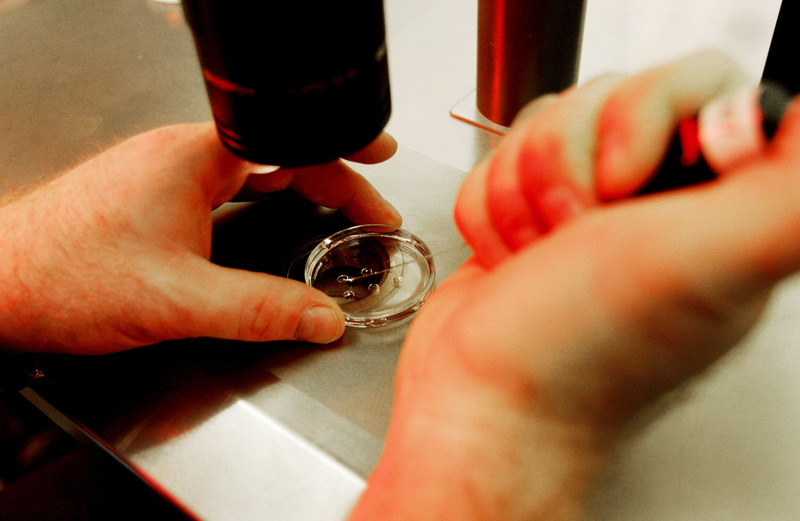 "This could, in theory, be used to predict an embryo’s intelligence," Quartz reports. And this could, in theory, let parents pick the smartest embryo to give birth to. "Creating a bunch of embryos raises the possibility of generating a sperm-egg combo that creates a super-smart baby." This is obviously controversial, especially in the West. Though American labs have been dabbling in disease-screening embryos, "sparing a baby from disease is different from picking Einsteins out of petri dishes so you can scrimp on Harvard tuition," as Quartz's Gwynn Guilford writes. But the head of BGI's cognitive genomics division told the Wall Street Jounral that the Chinese are much less squeamish about this idea. Right now, the technology for smart-embryo-picking is still theoretical. But with ample funds from the Chinese government, it may be just a matter of time before BGI makes this particular future a reality.